Landscapes as dynamic and characteristic expressions of the interaction between the natural environment and human societies can be considered in very different ways: from the scenery and ''total character of the Earth'' (Alexander von Humboldt cit. 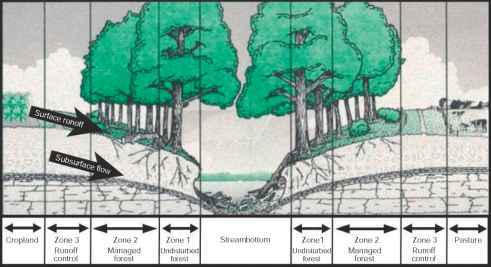 Zonneveld, 1995) to the complexity of ecosystems. Depending on the degree of human interaction, landscape characteristics can be dominated by natural aspects on the one hand or human management on the other. In this article, we consider landscape as a geosystem or geocomplex, a comprehen sive complex of natural (physical, chemical, biological) and anthropogenic factors distinguished at various hierarchical levels (i.e., micro , meso , and macrochores). The main natural factors in such a complex landscape system are water, topography, soil, geology, and climate conditions, as well as plants (vegetation cover) and ani mals (fauna). Likewise, the ecosystem approach deals with the same factors as ecosystem components, but in contrast to ecosystems, where all of the relations are considered via biota, the geosystem/landscape concept considers all ofthe relationships. However, different factors at different temporal and spatial scales play different roles in deter mining landscape character. Climatic and geological conditions cause the basic natural character of a land scape, whereas topography, soil, and vegetation cover are important in the formation of the detailed character of a landscape, and are influenced by human management.